There is a plethora of fun things to do in Lima for all travelers including families that will bring the culture and history of Lima to life. Interesting options like exploring the historic city center while learning about the history as well as the historic architecture and each neighborhood has its own charm with activities like cooking or chocolate making classes, bar crawling at night or you can watch live cultural performances while tasting Peruvian food. Exciting watersports have you surfing, white water rafting, paddling a kayak or sailing to a distant island where you will swim with sea lions. Other options include walking through Inca ruins, mountain biking, flying over interesting scenery, taking a day trip and rappelling down a waterfall or you can relax on one of the many beaches along the Costa Verde while being immersed in an ideal sunset. One of the more popular things to do in Lima for adventure seekers who are looking to take their explorations to a new level is to plan on taking a Multiday Tour. There are numerous excursions that will have you traveling from 1 to 15 nights to interesting places where you can immerse yourself into the culture of Peru. 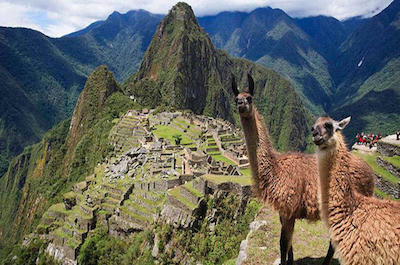 Some excursions will have you visiting iconic places like Inca ruins at Machu Picchu while other trips will take you to Cusco where you can mingle with the locals as well as visit the Temple of The Sun. Many of the excursions will include a stop at Lake Titicaca where you can view the Taquile Floating Islands and on your explorations you can see the intricate animal figures of the mysterious Nazca Lines as well as the Sacred Valley while on your way to the Inca ruins of Pisac. One of the best things to do in Lima for travelers that like to learn about the people and traditions of Peru and the region is to go on a Cultural Tour. There are a wide variety of family-friendly excursions that are interesting which tell the story of how the people as well as civilization of the area evolved over time. You can visit incredible places such as the archeological ruins at Caral and Pachacamac where you will learn about the Incas and Lima Culture people. 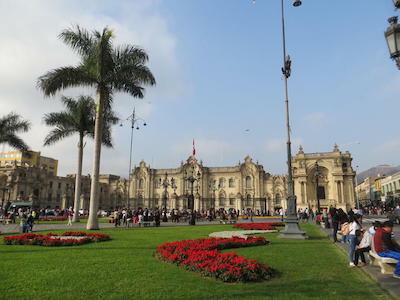 The historic buildings within the Historic Center of Lima explain the influence of the Spanish as well as the Museo Oro del Peru and Armas del Mundo. 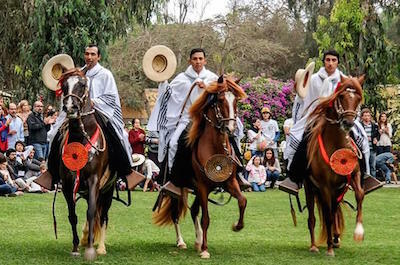 Other options will have you viewing traditional dances, eating Peruvian cuisine and drinking a pisco sour while you watch a unique Peruvian Paso Horse Show. When you are ready to go on an adventure that will surely have your blood level raising to new levels then the perfect thing to do in Lima is to try an Adrenaline and Extreme Tour. These excursions are not for the faint of heart and there is a wide variety of tours that will have you screaming with fear as well as joy. You will be delighted with the places these excursions will take you that include the Ballestas Islands, Paracas National Reserve, the Huanano Falls, Autisha Canyon and the Huacachina Desert where you can go sandboarding. Other options include rappelling into canyons, driving a dune buggy over high sand dunes, rock climbing and surfing as well as swimming with sea lions. If you are searching for an adventure on the Pacific Ocean that will allow you to relax and view the incredible marine life then the best thing to do in Lima is to take a Cruise and Water Tour. You will be amazed at the marine life sightseeing opportunities you will enjoy as you sail upon the waters of the Pacific Ocean. These excursions are family-friendly and will have you traveling to places such as the islands of Palomino, Cabinzas, El Fronton as well as the Ballestas. Some tours offer you a chance to go swimming with sea lions while other options include sunset cruise where you can watch the blue skies over the Pacific Ocean turn into a canvass of pastel colors. 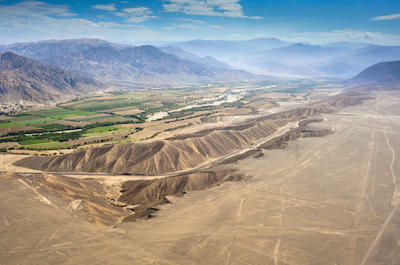 When you want to experience a unique view of the natural and built environment of the region then a great thing to do in Lima is to plan an Air Tour. On these excursions you will have a bird's eye view of the Andes Mountains, the Pacific Ocean and special places such as the mysterious Nazca Lines which are geoglyphs that are fashioned after animals that were created by the Nazca people. Other options include flying and spending the day at the Huacachina Oasis as well as the Ballestas Islands where you can view penguins in their natural habitat. For the adventure seeker you can try an adrenaline filled paragliding ride along the Costa Verde where you will have a panoramic view of neighborhoods like Miraflores, Chorrillos and San Isidro. Taking a Food Tour is a superb thing to do in Lima for travelers that like to combine culture, history and cuisine into a splendid day of learning about a new country. You will be delighted with the variety of these family-friendly excursions that will have you strolling through various neighborhoods such as Miraflores, Chorrillos and Barranco. 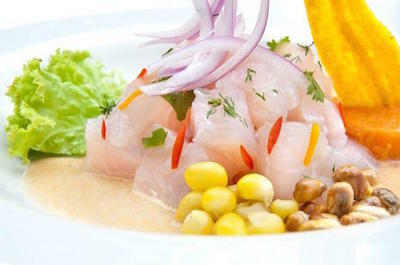 You can visit the Historic Center of Lima where you will indulge in unique cuisine that combines Peruvian and Chinese flavors or you can have a chef prepare specialties like locro de zapallo, causa as well as an arroz con leche for dessert. As you pass by several historic buildings your expert guide will explain the influences of the Inca and Spanish colonial days on the wonderful food that you will experience. 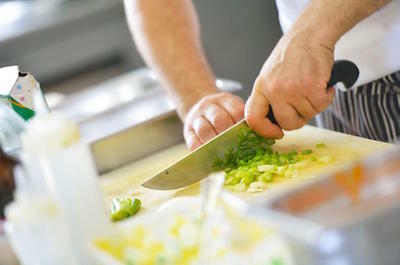 One of the best things to do in Lima for people that like to learn about culture through food is to go on a Cooking Class Tour. There are a wide variety of these excursions that are family-friendly and will have you enjoying some mouthwatering cuisine. During your tour you can choose between visiting a local family where you will indulge in local specialties like ceviche and causa limena. 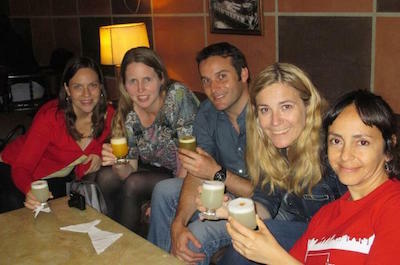 Other excursions offer classes taught by professional chefs who will take you to the market and explain the various exotic fruits of the region before teaching you how to blend the ingredients to make delicacies such as sudado de pescado and of course you will learn how to make the national libation which is a pisco sour. When you are ready to let your hair down and have a fun night on the town as you learn about the history of Lima then the only thing to do in Lima is to take a Bar Crawl Tour. You will be thrilled with walking the streets in the evening while your expert tour guide explains the interesting history of the city as you stop by several drinking establishments where you can indulge in a pisco sour, the national libation of Peru. Also on these excursions you will be able to taste incredible local cuisine anticuchos and picarones. The city comes to life at night as you pass through the Plaza de Armas and continue on your way to Plaza San Martin. If you are a foodie that likes to learn about the process of making delicious sweet items that will please your palate then a superb thing to do in Lima is to plan on trying a Chocolate Workshop Tour. Families will like these excursions as you learn about how to make various types of delicious chocolate from a professional chocolatier. During your workshops you will have a chance to turn cocoa beans into several varieties of dark, milk and white chocolate. 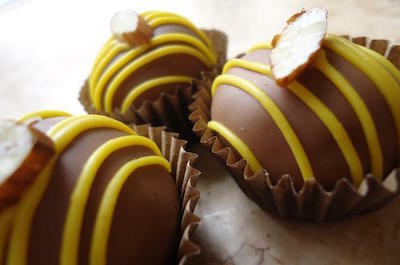 You will learn about the life cycle of the cocoa bean from planting to growing to harvesting to making numerous different flavors of chocolates and desserts like truffles. Workshops are available in several neighborhoods such as Miraflores as well as Barranco and these tours are offered at several convenient times throughout the day. 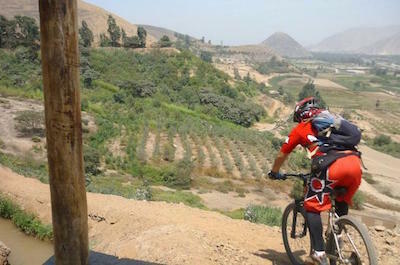 If you like to mix a day of sightseeing with exercising whether you are in the city or in the countryside then a great thing to do in Lima is to try a Biking Tour. These excursions are perfect for all skill level of riders from novices to experts and you will be peddling the perfect bicycle that matches your adventure. You will be thrilled with the different places these excursions will take you that include the various urban districts of Lima such as Miraflores, Barranco and Chorrillos. There are opportunities to peddle around the Plaza de Armas, along the Malecon of the Bay of Lima and the Lima Culture ruins of Huaca Pucllana. Other exciting rides include a trip to Pachacamac Mountain where you will be delighted with the mountainous countryside and the Canete River Valley where you can stop at the quaint town of Lunahuana. 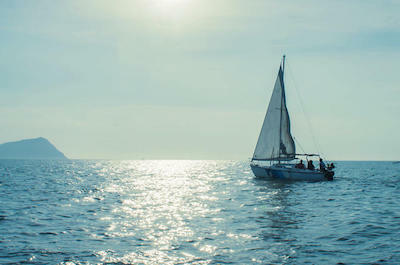 When you want to combine a fun time that can be relaxing or full of exercise with a different vantage point of the built environment or the natural environment then the best thing to do in Lima is to take a Water Sport Tour. There is a wide variety for you to choose from and some are family-friendly such as white water rafting on the Canete River near Lunahuana. You can enjoy the Pacific Ocean and gather a different view of the Lima skyline while sea kayaking or when you are paddling on a standup paddleboard. 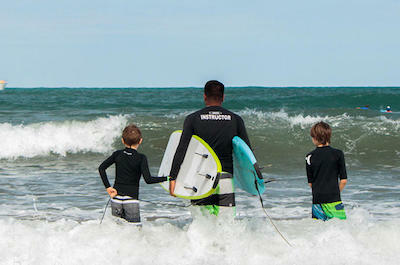 Surfing is another great option that can take your adrenaline to new highs when you carve your first wave. When you are ready to experience the rich history of Lima then an ideal thing to do in Lima is to visit the Historic Centre of Lima. This UNESCO-listed site encompasses the area that surrounds the Plaza de Armas and Plaza San Martin which are delineated by the pedestrian friendly Jiron de la Union. 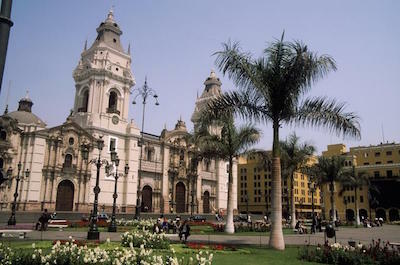 Within the Historic Centre of Lima you will find fascinating places like the Presidential Palace, Barrio Chino, the Catedral de Lima and the churches of San Pedro as well as Santo Domingo. Other important stops include the Sanctuary of Las Nazarenas, the Municipal Palace as well as the Church and Convent of San Francisco. 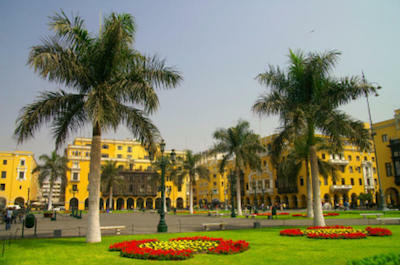 The Historic Centre of Lima is packed with plenty of places to sit and watch the world go by as you gaze upon the historic beauty of the inner city of Lima. 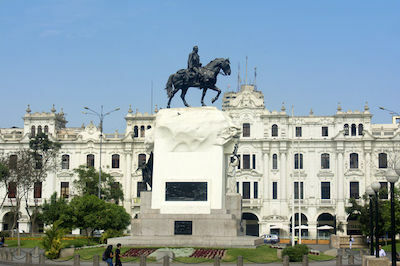 One of the most impressive things to do in Lima is to visit the Lima Plaza de Armas or Plaza Mayor where you will find a statue of Francisco Pizarro on horseback and a three-tiered bronze fountain that was erected in 1650. The Lima Plaza de Armas is the historic birthplace of the city and includes numerous palm trees, flower gardens and intricate lampposts. While you are there you might see the changing of the guard at 11:45 A.M. or you can simply sit while your eyes feast on the surrounding historic architecture of the Catedral de Lima, City Hall, the Government Palace and the Palacio Arzobispal. 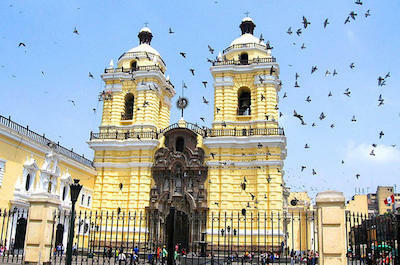 One of the highlights of the Plaza de Armas is the Catedral de Lima or Lima Cathedral. This Colonial style building was first constructed in 1535 when Francisco Pizarro laid the first stone. Most of what you might see today is the result of an extensive renovation in 1746 which brought the Catedral de Lima back to life. Once you enter through one of the three huge doors you will find intricate mosaic chapels, high ribbed ceilings and plenty of white as well as gold adornments. The square that is in front of the Catedral de Lima is a favorite meeting place for locals in the evening with plenty of bench seating. 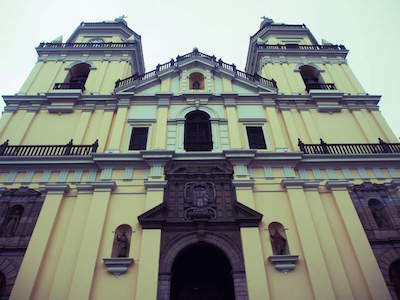 One of the more interestingly designed churches in Lima is the Iglesia de Santo Domingo or Santo Domingo Church where you will find a gorgeous example of a Spanish Colonial building. Constructed in 1599 the Iglesia de Santo Domingo has undergone many restorations to the three naves and the eclectic belfry that houses several highly adorned chapels, shrines as well as altars. The interior of the Iglesia de Santo Domingo features a neo-classical design which is filled with turquoise and gold. The garden area out front is tranquil and is encompassed by paintings and Seville tile artwork around the main cloisters. Dating back to 1535 when Pizarro was planning the city of Lima, one of the most significant streets in the city was and still is the Jiron de la Union. This boulevard encompasses five city blocks in the central downtown area and today is a pedestrian's haven with numerous boutiques for shopping, restaurants and lounges for food and drink as well as several areas to sit where you can watch the people go about their daily lives. 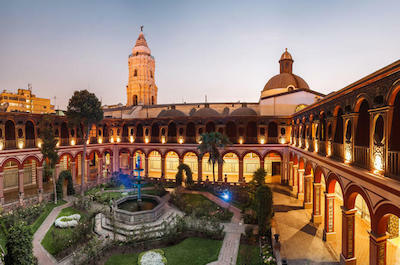 As you walk the Jiron de la Union you will pass by numerous monuments including City Hall and the La Merced Cathedral. The Church of San Pedro or Iglesia de San Pedro is a majestic Baroque building constructed by the Jesuits in 1638 and is the Jesuit Order's primary church in Peru. The façade of the Church of San Pedro features three naves and a dome whereas the inside of the church is adorned with intricate tile work and Moorish style engraving. When you visit make sure to view the superbly adorned San Ignacio de Loyal Chapel where premier colonial artwork is exhibited and don't be afraid to take a stroll through the underground crypt. 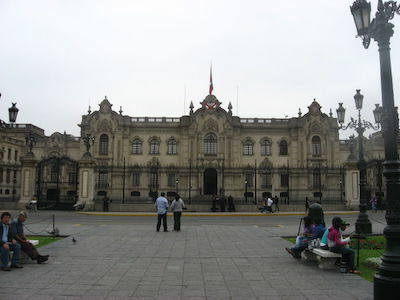 The Presidential Palace or Casa de Pizarro has been at this site within the Plaza de Armas since 1535 when the city of Lima was founded. Constructed on the original site of a prominent Indian chief named Taulichusco, this French Baroque designed building was extensively restored and renovated during the 20th century. The Presidential Palace has been the home to the Peruvian government from the establishment of the first viceroyalty of Peru. The Presidential Palace also resides on the site where in 1821 Jose San Martin joyfully exclaimed the independence of Peru. The Municipal Palace is one of the more beautiful buildings to see within the Plaza de Armas where in 1535 the Spanish Conquistador Pizarro established the city of Lima. Constructed in 1944 the Municipal Palace has a neo-classical design with French Renaissance accents and is a remarkable piece of historic architecture that displays superb symmetry inside with marble staircases. If time permits go inside and check out the 15,000 books within the library that includes the Declaration of Independence for Peru. One of the best examples of brilliant Moorish Spanish Baroque Colonial architecture is the Iglesia y Convento de San Francisco or the Church and Convent of San Francis of Assisi. Also within the Igelsia y Convento de San Francisco is a beautiful garden and library filled with antique texts. When you visit you can go underground to view the labyrinth of catacombs that were discovered in 1943 that contain the remains of some 25,000 Lima residents which are now ornately displayed in unique decorative patterns. 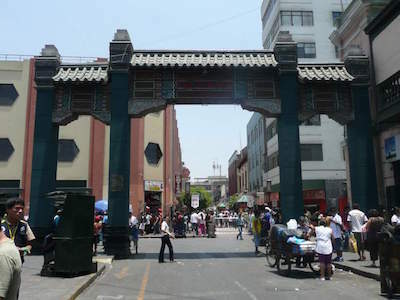 As you walk through Lima's historic center you can pass under the red Chinese archway where you will notice the stellar Chinese architecture that appears in the skyline. With more than 1.5-million ethnic Chinese living in Lima, the Lima Chinatown or Barrio Chino boasts side streets that are adorned with Buddhist temples and Chinese shops selling traditional items that range from cooking ingredients to medicinal herbs as well as the numerous Chinese restaurants. 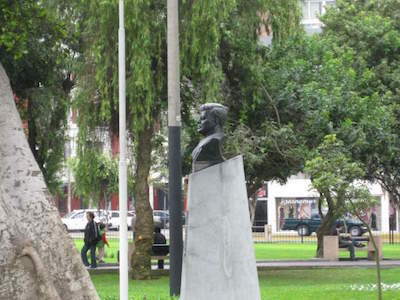 Erected in 1921 to honor Jose de San Martin, this gorgeous bronze statue and plaza area celebrates the man who helped secure the freedom of Peru, Argentina and Chile from the Spaniards. 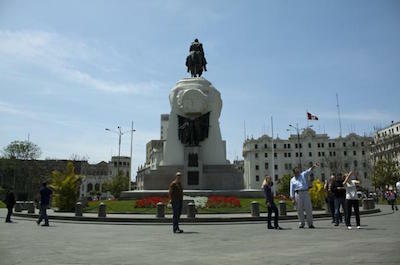 The statue is located within the UNESCO-listed Historic Centre of Lima and portrays Jose de San Martin on his horse. The Plaza San Martin is bordered by several neo-colonial buildings that are brought to life each evening with colorful lights and is a favorite spot for the locals to talk politics with one another. 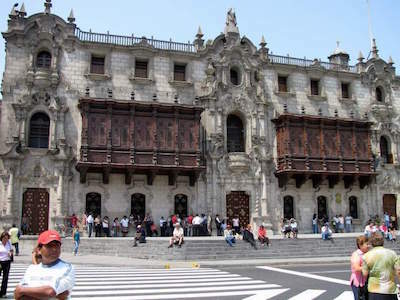 The Archbishop's Palace or Palacio Arzobispal is a remarkable example of craftsmanship from the carved cedar balconies to the stained glass windows to the marble staircases that adorn the inside. 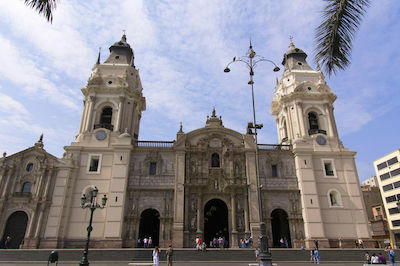 This site has been the home of the Archbishop of Lima since 1535 but this beautiful neo-classical designed building was constructed in 1924 and sits majestically next to the Lima Cathedral. 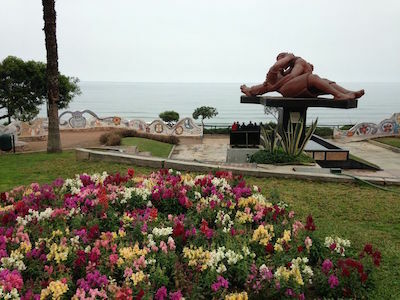 Whether you want to go shopping, relax in a park, learn about the early Lima Culture, process cocoa beans into chocolate or search for that perfect souvenir the best thing to do in Lima is to plan a trip to the Miraflores District. 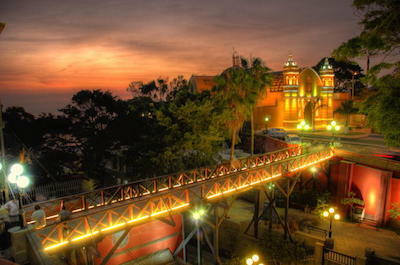 Located along the coastline of the Pacific Ocean the Miraflores District offers a variety of attractions for everyone. Once within the district you can feel the affection at Love Park or pet a cat at Kennedy Park while watching numerous street performers. The Miraflores District is perfect for shopping at the futuristic Larcomar Shopping Center or for that one-of-a-kind souvenir at the Indian Market. When you want to learn more about the early Lima Culture of the area then visit the ruins at Huaca Pucllana and don't forget about making your favorite type of chocolate delight at the ChocoMuseo Miraflores. One of the most romantic places to visit within the Miraflores neighborhood is to take a stroll through Love Park or Parque del Amor. Once at Love Park you will be delighted with the sculpture by Victor Delfin named El Beso or the Kiss which depicts a couple kissing. Fashioned after Park Guell in Barcelona the Love Park has mosaic walls which are filled with quotes of affection from loved ones to loved ones. One of the best times to visit is Valentine's Day when there the longest kiss contest takes place. Located along Avenida Petit Thouars within the Miraflores district the Indian Market or Mercado Indio is the best place to find your favorite souvenir. Once at the Indian Market you will find hundreds of vendors with items made of materials such as alpaca wool, ceramics, silver as well as handicrafts like paintings and wood carvings. The vendors have everything from mass produced to unique one-of-a-kind souvenirs so be prepared to search for quality made products and to haggle about pricing. When visiting the Miraflores neighborhood you can take a look at the Lima Culture ruins located at Huaca Pucllana. 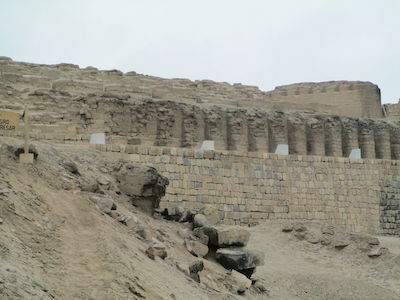 The ruins at Huaca Pucllana date from 500 C.E. and offer a unique learning experience about the early pre-Inca civilization that dominated the Lima area. 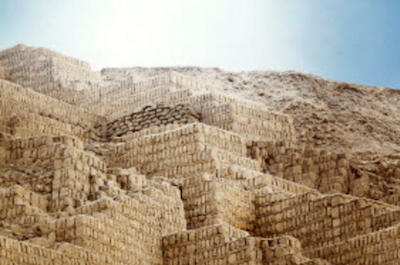 Huaca Pucllana is a former administrative and ceremonial center that includes a pyramid that is more than 60-feet tall as well as numerous structures that were erected with hand-made adobe bricks. Also on the site is a museum that exhibits hundreds of artifacts from tools to textiles to ceramics. Situated within the Miraflores neighborhood, Parque Kennedy or Kennedy Park is a great place to cuddle with one of the hundreds of cats that call the park home. Parque Kennedy is a favorite spot for expats and locals to visit with each other in a tranquil setting that can be packed with interesting entertainment that ranges from artisans exhibiting their art creations to musicians playing a wide variety of music. There are plenty of shopping venues and restaurants surrounding Parque Kennedy and you can escape within the Church of Virgen Milagrosa to find some time to reflect on life. 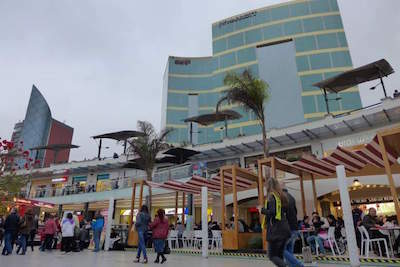 The Larcomar Shopping Center combines the reality of over 160 shopping boutiques into a futuristic setting in a stunning display of modern architecture that mimics the surrounding cliffs where the shopping center was constructed. Overlooking the Costa Verde beaches the Larcomar Shopping Center is unique and will please all of your senses from shopping to a multiplex movie theater to a bowling alley to an amusement arcade all of which will keep the family busy while you browse the shopping boutiques in a village type atmosphere. 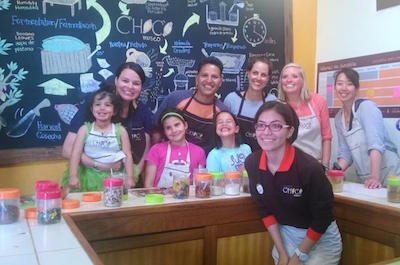 Visiting the ChocoMuseo Miraflores is a chocolate lover's dream come true. Here you will find numerous chocolate treats made by some of the finest master chocolatiers in the world. At the ChocoMuseo Miraflores you can also participate in several chocolate making workshops to create your own chocolate delights from some of the world's best cocoa beans. While you are at the ChocoMuseo Miraflores you may also be able to explore a cocoa plantation where you can talk with the local farmers about the process of growing cocoa beans. Visiting the Bohemian inspired Barranco District is an excellent thing to do in Lima for travelers looking for an upscale environment that contains museums, chocolate shops, market place and other manmade features. Once you are within the Barranco District you can enjoy a day at the Dedalo Market searching for an one-of-a-kind piece of jewelry or blown glass and you can stop by the ChocoMuseo Barranco where you can learn how to make delicious chocolate treats from cocoa beans. The Mario Testino Museum holds an eclectic collection of portraits painted by this famous Peruvian artist as well as colorful sculptures, carvings and photographs that depict the traditional cultures of Peru. The Museo Pedro de Osma combines beautiful historic architecture with one of the largest collections of artworks created by Peruvian artists and the Puente de los Suspiros offers an area filled with entertainment during the day and night. When you are in the Barranco District one of the must see attractions is the Puente de los Suspiros or Bridge of Sighs. 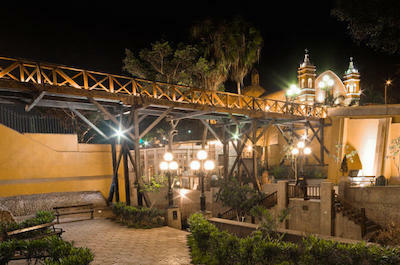 Constructed in 1876 this 95-foot long wooden bridge connects the streets of Ayacucho and La Ermita as well as providing a gateway to the Municipal Park from the red chapel of La Ermita which has been separated by the Bajada de los Banos ravine. As you cross over the Puente de los Suspiros you will notice the brightly painted colonial houses below as well as the numerous restaurants and entertainment venues that dot the ravines lower banks. 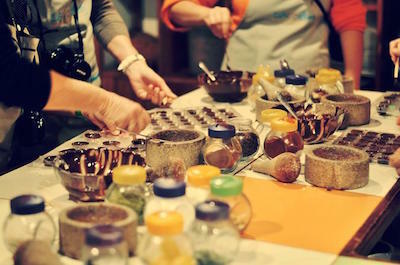 If your sweet tooth is craving something delicious then you should plan a visit to the ChocoMuseo Barranco. Once at the ChocoMuseo Barranco you can indulge in tasting savory chocolate from dark to milk to white in a relaxed setting that allows you to watch professional chocolatiers create edible masterpieces. When you sign-up for a workshop at the ChocoMuseo Barranco you can learn how to process cocoa beans while making your own pieces of chocolate as well as visit a cocoa plantation and witness the harvesting of this delectable bean. The Dedalo Market or Mercado Dedalo is a wonderful place to visit when you want to find higher-end items that range from contemporary Peruvian art to one-of-a-kind pieces of jewelry. The Dedalo Market is filled with blown glass, hand crafted ceramics, stone and wood carvings that can help accent your home. You will not find many traditional Incan handicrafts here such as in Cuzco and most items are priced on the shelves which takes the haggling and pressure off of buying. Situated within the Bohemian neighborhood of Barranco, the Mario Testino Museum or Museo Mario Testino is a celebration of Peruvian photography, paintings, sculptures and other artwork. Housed in a 19th century mansion the Mario Testino Museum is the brainchild of Mario Testino who is famous for his portraits of the late Princess Diana. The Mario Testino Museum boasts rotating galleries of sculptures, paintings and photography as well as paintings by Mario Testino. Some of the more interesting pieces within the collection include artworks of the indigenous cultures of Peru in their colorful traditional dress. The Museo Pedro de Osma or the Pedro de Osma Museum combines stately architecture with one of the largest collections of Peruvian artifacts. Situated within the Barranco District near the Bridge of Sighs, the Museo Pedro de Osma is contained with the colonial designed Palacio de Osma. 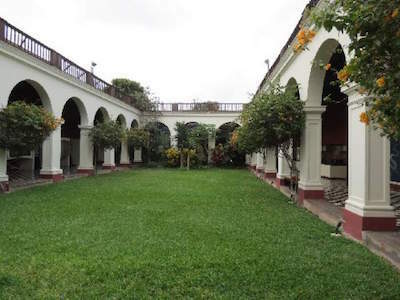 Once at the museum you will be pleased with the intricate architecture and you can browse several themed rooms within the Museo Pedro de Osma that exhibit artifacts that range from colonial furnishings to sculptures to stellar Peruvian artwork. There are a few neighborhoods that are often overlooked by travelers when they arrive in Lima and many people are finding that visiting these three enclaves is a great thing to do in Lima. The three districts of Chorrillo, San Isidro and the Callao offer something special that range from the newly rejuvinated Financial District within the San Isidro District where you will also find the pre-Columbian ruins known as Huallamarca. 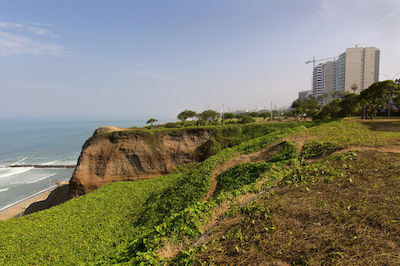 The Chorrillo District is home to some of Lima's best beaches and the 650-acre Pantanos de Villa Wildlife Refuge. The main cruise port within the Callao District was the most important port in Peru from the days of colonial rule and offers several museums a nice beach area and a colorful town full of colonial buildings. 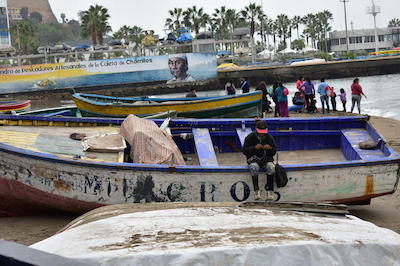 Just south of the Miraflores District is the Chorrillos district which has been brought back to life after being crushed by an earthquake in 1940. 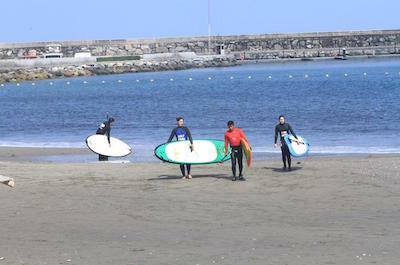 Today the Chorrillos District is home to some of Lima's best beaches where you will find people enjoying the sun and surf at places like La Herradura as well as walking the boardwalk at Agua Dulce. One of the more popular things to do in Lima within the Chorrillos District is the Pantos de Villa Wildlife Refuge where you can watch more than 200 species of birds and 11 species of amphibians as well as reptiles. 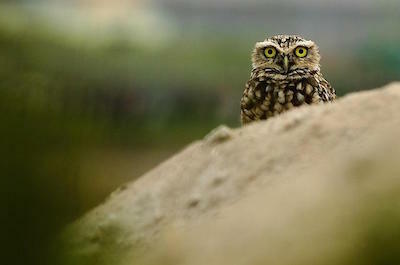 Not many people would expect to find a 650-acre nature preserve within the 10 million residents of Lima but the Pantanos de Villa Wildlife Refuge is a perfect thing to do in Lima for birdwatchers and outdoor lovers. Located within the Chorrillo District the Pantanos de Villa Wildlife Refuge is home to over 200 species of birds and 11 species of amphibians as well as reptiles. Once you enter the Pantanos de Villa Wildlife Refuge you can wander the numerous miles of nature trails that offer a unique look into the natural beauty of the area. 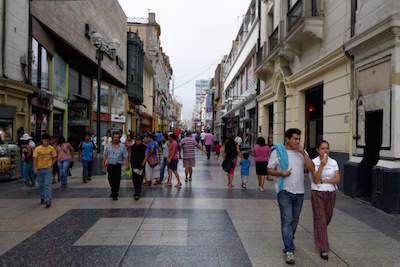 The San Isidro District is often overlooked by travelers but this prosperous Lima neighborhood is home to the Financial District and over the past few years the neighborhood has undergone change with many of the 20th century mansions now home to 5-star hotels, restaurants as well as shopping boutiques. The most important thing to do in Lima within the San Isidro District is the Huallamarca or Pan de Azucar which is a restored pre-Columbian adobe constructed pyramid that dates from 200 to 500 C.E. and El Olivar Park is splendid for lunch for those seeking a green space within the surrounding built environment. The best thing to do in Lima within the San Isidro District is the Huallamarca or Pan de Azucar. The Huallamarca is a restored pre-Columbian adobe pyramid that dates between 200 to 500 C.E. There are many questions still to be answered after the Huallamarca was discovered under a vast patch of farmland used for cultivating sugar. 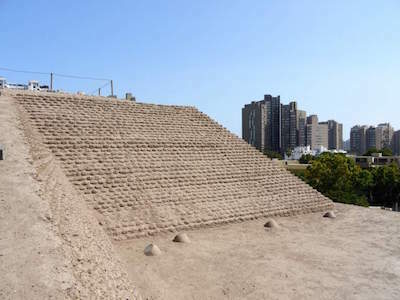 Most researchers believe this Huaca to be a sacred burial temple that was utilized during the time of the Lima Culture to the Inca settlement of the area. There is a museum onsite that exhibits artifacts that range from funerary masks to a well-preserved mummy. If you are interested in viewing a quaint seaside town which has been an important port to Peru since the colonial days then you should go to the Callao District. Located north of Lima along the Pacific Ocean coastline the Callao District is still the primary port of call for cruise ships arriving to Peru. Visitors can easily find transportation to Lima but you might want to take a few hours to explore this colorful district that includes the Real Felipe Fortress or stroll through the Abtao Submarine Museum as well as the Naval Museum. Another relaxing place is the beach area situated at La Punta and you can catch a day cruise to one of the islands in the Pacific Ocean such as Cabinzas, El Fronton or Palomino. 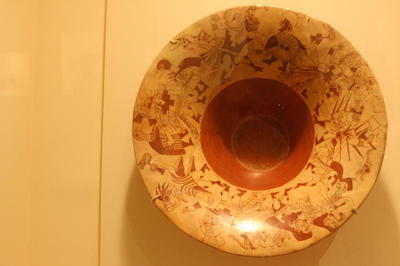 One of the more popular things to do in Lima is to plan on trying some type of Archaeological Tour. There are numerous fascinating sites in and around Lima that include places such as Caral or the Mother City, the geoglyphs called the Nazca Lines as well as the ruins at Pachacamac where you will find the Itshma Temple and the House of the Chosen Women complex. If you are in Lima you can visit the National Museum of Archaeology, Anthropology and History to view more than 100,000 artifacts that spans over 3,000 years and you can stroll through the ruins of Huaca Pucllana in the Miraplores District as well as Huaca Huallamarca which are situated within the San Isidro District. 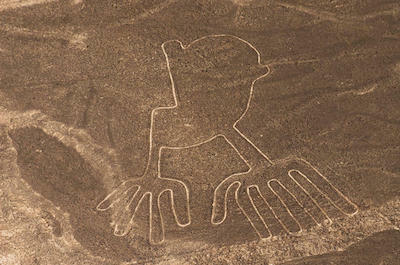 When you want to explore on of the more fascinating things to do in Lima that involves ancient cultures and mysterious geoglyphs then you should try a Day Trip to Nazca Lines from Lima. These excursions will allow you to view the incredible animal and geometrical geoglyphs that were created by the Nazca people. With these tours you can decide whether you want to travel by air or land to view these interesting carvings that are located 200-miles from Lima. Believed to be the oldest city in the Americas, Caral also known as the Mother City is a complex of 150-acres in the Supe Valley which was occupied between 2,600 B.C.E. to 2,000 B.C.E. and is the most studied Norte Chico site in the world. 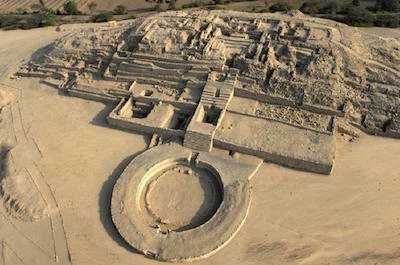 Visiting the city of Caral is an interesting thing to do in Lima and exploring this UNESCO World Heritage Site will have you looking at a variety of outstanding features such as terraced pyramids, sunken plazas and numerous temples that contained artifacts such as a quipu and musical instruments. Making a visit to the Site Museum and Archaeological Sanctuary of Pachacamac is one of the best things to do in Lima. These archaeological ruins are the closest to be found near Lima and were occupied for some 1,500 years from the Huari people to the Incas. There is a reconstructed Inca complex named the House of the Chosen Women and the most impressive structure at the site is the Itshma Temple or Temple of the Sun which pays homage to the deity Pachacamac. One of the best things to do in Lima to learn more about the cultures and history of Peru is to plan a visit to the National Museum of Archaeology, Anthropology and History. Opening in 1826 the National Museum of Archaeology, Anthropology and History contains more than 100,000 artifacts including over 15,000 human skeletal remains that represents thousands of years. Here you will find everything from arrowheads to jewelry to ceramics as well as numerous interactive exhibits explaining the history of Peru. There are several attractions that are the perfect thing to do in Lima when you are interested in learning more about the Peruvian culture over thousands of years as well as superb open space that includes something for everyone in the family. Your options range from visiting the Parque de la Reserva where you will find the Magic Water Circuit of fountains that dance to a choreographed show of lights and music to viewing incredible artifacts made of gold, silver and gilt copper at the Miguel Mujica Gallo. Other interesting places to stroll through are the Larco Museum that contains 45,000 pieces of artifact dating back over 3,000 years and the Lima Art Museum highlights the intricate artwork of Peru over the same time period. 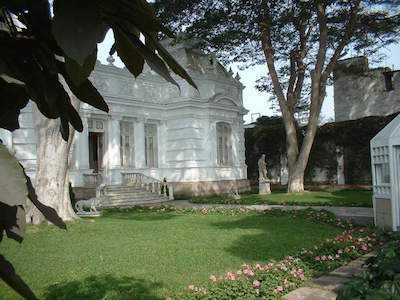 Located in an 18th century mansion that was constructed on top of a 7th century pyramid the Larco Museum or Museo Larco contains more than 45,000 artifacts from pre-Columbian as well as pre-Incan civilizations art to present day pre-Hispanic ceramics and is great thing to do in Lima for all travelers. The Larco Museum is filled with galleries that highlight the collection of intricate jewelry, painted pottery, tools and numerous textiles. 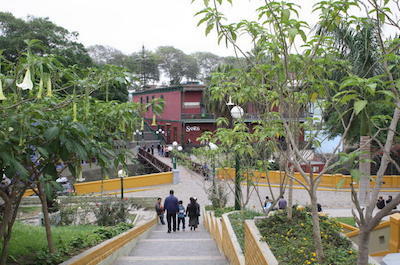 The Parque de la Reserva is 20-acres of greenery within the built environment just outside of the downtown area and visiting the park is an ideal thing to do in Lima. The Parque de la Reserva was commemorated in 1929 and became famous in 2007 when the dancing fountains of the Magic Water Circuit were installed. 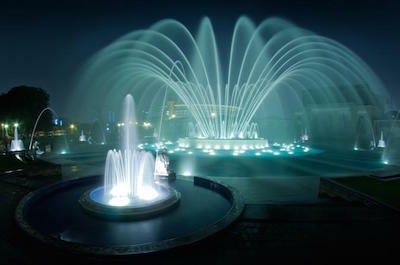 One of the most popular inexpensive things to do in Lima for families is to gaze upon the Magic Water Circuit or Circuito Magico del Agua which is located in Parque de la Reserva. 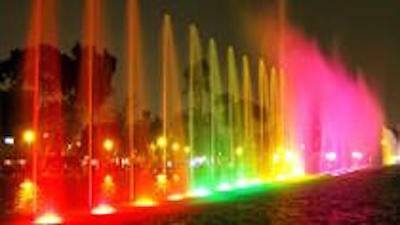 The series of 12 water fountains are more spectacular in the evening when they are illuminated with colored lights and dance to choreographed musical themes. One highlight is the Maze of Dreams where you will be challenged to walk through a maze in order to find the inner circle. If you are interested in viewing one of the largest collections of Peruvian artwork than a trip to the Lima Art Museum or Museo de Arte de Lima is an ideal thing to do in Lima. The collection of artworks spans over 3,000 years and includes pieces from the pre-Columbian, Moche, Nazca, Chimu as well as the Incas. 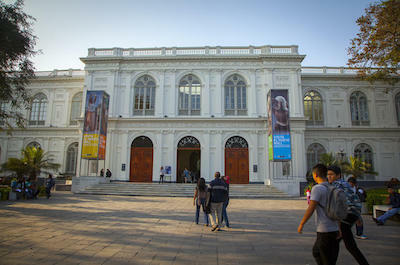 The Lima Art Museum is also home to a large collection of modern day contemporary artworks that help you understand the full history of art within the Peruvian region. 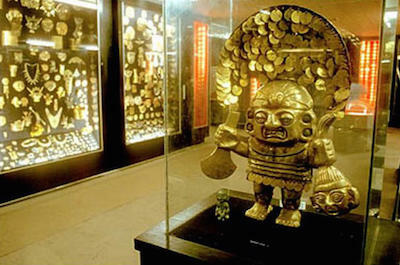 The Miguel Mujica Gallo or Gold Museum is a fascinating place that is filled with more than 8,000 artifacts made of gold, silver and gilt copper. As you stroll through the museum you will be amazed at the intricate craftsmanship of the precious metal artifacts that represent pre-Inca and Inca civilizations and range from golden figurines to drinking vessels to jewelry as well as animals adorned in gems. This private collection is outstanding making the Miguel Mujica Gallo a perfect thing to do in Lima. There are several interesting Day Trips from Lima that make for a great thing to do in Lima for nature and lovers of the outdoors. 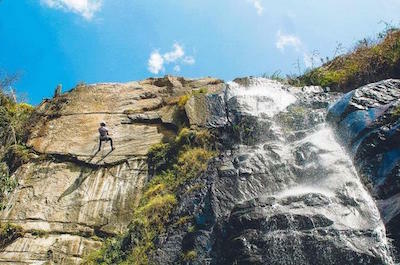 There are exciting excursions to Huanano Falls where while hiking you will view ruins from the past before reaching a 100-foot waterfall that you can rappel down the face. Other options include sailing to the Ballestas Islands which are commonly referred to as the Peruvian Galapagos where you will find Humboldt penguins and hundreds of bird species or you can take a swim at the Palomino Islands where you can share your swimming experience with numerous sea lions. 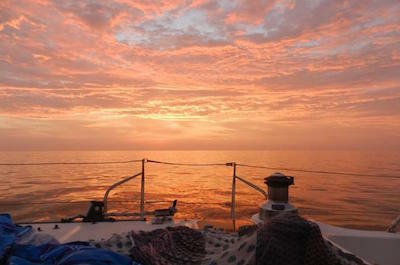 One of the best things to do in Lima for wildlife lovers is to visit the Palomino Islands. Located off the coastline of Callao the islands are filled with lots of species of marine and wild life including hundreds of birds. Once at the Palomino Islands you can go swimming sea lions for a once-in-a-lifetime experience or simply relax while soaking up the natural environment. If you want to get up close and personal with marine and wild life then an ideal thing to do in Lima is to plan a trip to the Ballestas Islands. The Ballestas Islands often referred to as the Peruvian Galapagos is packed with superb marine and wild life. 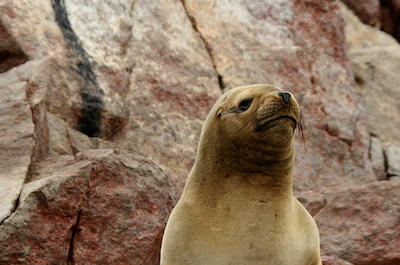 Located 90-minutes off the coast of Paracas the islands are a haven for more than a hundred species of animals. Another interesting item about the islands is the Candelabra geoglyph which is etched 595-feet on a hillside and be can be seen from 12-miles away. One of the best things to do in Lima for people who like the outdoors and want to add some adrenaline to their day is to visit the Huanano Falls or Catarata Huanano. Located in San Jeronimo de Surco the hike to Huanano Falls takes between one to two hours to complete. Once at the falls you will be amazed at the 100-feet of cascading water and you can go for swim in the pool below the falls. Other adventure seekers will decide to fill up on adrenaline and rappel down the face of the waterfall before relaxing.